I think it is a huge step forward for skill builders. It will greatly reduce the need to create account linking. Obviously account linking will still be necessary as a fall back, but it will be really nice to be able to streamline getting email addresses. The restriction for use with children-oriented Alexa skills is not surprising. However, the restriction from matching an Amazon contact profile with an existing customer profile maintained by the Alexa skill owner is an important limitation as is the requirement to call the information anew each time it is needed. Amazon is permitting Alexa to facilitate user contact through means other than the voice assistant service, but it is not granting access to actually know your users’ identities in real life and add that your your CRM database. So, this feature provides excellent one-off functionality with minimal friction, but it is not intended to introduce an opportunity to deepen a customer relationship outside of Alexa interactions. This limitation will mean that many Alexa skill developers will still want to implement account linking when possible. The open question is whether the presence of the Customer Profile API will lead Amazon to be more restrictive on account linking in skill certification under the rationale that the developer has a tool other than account linking to achieve the functionality goal. SnapTravel, KptnCook and Thalia Buch-Tipps have already implemented the feature using SMS or email messaging to users. KptnCook and Thalia Buch-Tipps are delivering recipes and book recommendations via email. This is an interesting use case and a new method to drive Alexa skill re-engagement rates. The emails could stand on their own and simply allow the skill to provide an extended experience beyond Alexa. However, the feature could also be used to prompt skill usage and raise the incidence and frequency of repeat use. Think of it as potentially similar to how notifications are used to drive repeat engagement with mobile apps. By contrast, SnapTravel is using the Customer Profile API to execute a transaction that cannot be completed on Alexa alone. Hussein Fazal, Co-Founder & CEO of SnapTravel, said, “Customers can begin their hotel booking journey over voice using Amazon Alexa, and receive a link on their phone over SMS to complete the booking.” This scenario reflects the removal of a voice commerce barrier for goods that cannot be purchased today through Amazon.com. It could mean that many more product sellers can complete sales transactions outside of Amazon.com which would be good for platform adoption. However, it is unclear whether Amazon will permit this type of use case to proceed through certification if it is perceived as competing against the ability of Amazon.com to capture the purchase. Travel is different because Amazon doesn’t sell these types of services. A number of developers have pointed out limitations of the feature. 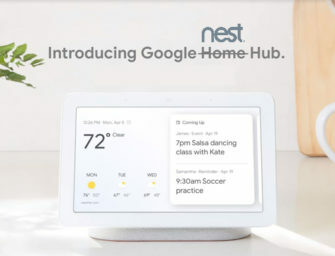 It is not fully enabled by voice like a similar feature is for Google Assistant. You must instead push a card to the user in the Alexa app that requests the permission and the user must go into the app and accept. The documentation also says this should be done when a user first enables a skill which seems like a barrier to onboarding and initial skill trial. If the user does not accept at that time, there is another opportunity for them to accept when a transaction arises that requires the contact information. The problem is that the approach presents a clear barrier inside of the transaction flow which will lead to abandonment rates. A lower friction approach would be to enable this when needed by voice. Once permission is accepted by voice, it could be configured to not require subsequent approval but allow users to revoke the permission. Or, it could simply be a one-time authorization. The lower friction makes this reasonable. A card-based approach that takes someone from a smart speaker surface to a mobile app is not an elegant solution, nor is it an elegant user experience. Customer Profile API is a nice feature to have, but it remains to be seen whether it will be effective given the friction associated with the current implementation. I suspect this is a phase one release and Amazon will enable voice permission in the future, but until then developer adoption may be muted. You can read more about the Customer Profile API here. It reflects an important step for Amazon, particularly since Google Assistant has had similar capabilities for email contact for some time. However, the really interesting development here is not that you can present a call-to-action and then have a means for connecting with a user through a different digital channel. What is more important is that the Customer Profile API could be used to drive re-engagement, user retention and voice commerce in addition to facilitating new features with less friction for users.